Why SafeWay Driving For Teens? Learning to drive is not a rite of passage. It’s not a game or cool app. It’s a learned skill-set. Driving is the only dangerous thing most people do every day, and it requires a certain skill level if you want to survive today’s challenging roadways. You don’t become a safe driver by getting a driver’s license. You become a safe driver by spending hours of time practicing in the car with a Certified Professional Driving Instructor. The Very Best In-Car Training: You learn to drive in a car, not in a course. Save More Time: Save 32 trips to an old-school classroom with our online course. Texas law requires teens to complete a 32 hour theory course, 7 hours of driving & 7 hours of observation. An additional 30 hours of driving must be logged before you can get your license. SafeWay offers our teen course online with convenient local drive sites in your neighborhood! You can enroll in a drivers ed program shortly before your 15th birthday. When selecting a program, be sure that it includes both the theory and behind the wheel training. 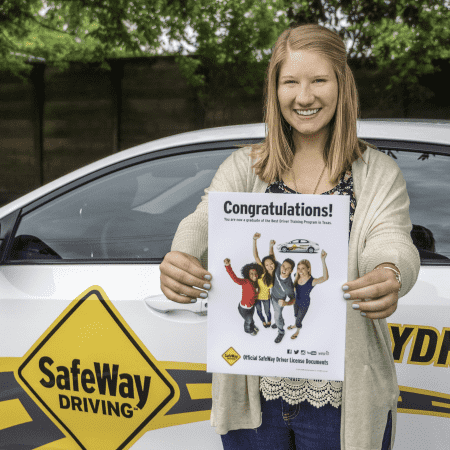 SafeWay Driving’s online course is fully integrated with our in-car training, making it the most comprehensive teen drivers ed course in Texas! To get your permit, you will need to receive the permit portion of your DE-964 from your course provider. You will take this certificate to DPS along with the other required identification documents. Unlike some online programs that make you wait until you’ve completed the course, SafeWay Driving will mail your permit paperwork after successfully completing your third session! To get your completion certificate, you’ll need to successfully complete 32 hours of theory work as well as a minimum of 7 hours of driving and 7 hours of observation with a certified driving school or registered parent-taught program. Remember that learning to drive is not a rite of passage, but a skill set. National Standards recommend at least 10 hours of behind the wheel professional instruction. Have you started a course with a different provider but are unsatisfied with your experience? You can transfer to SafeWay Driving to complete your drivers ed program! Before you begin your in-car driving with us, we’ll induct you into the SafeWay Driving System so that you are fully prepared to get behind the wheel. Transfer to SafeWay Driving Today! The 81st Texas legislature enacted the Less Tears More Years Act which requires young drivers to receive an additional 30 hours of behind-the-wheel instructions by a certified instructor, parent or guardian before you can receive your license. At least 10 of these hours must take place at nighttime. SafeWay Driving can provide some or all of these hours for you. Avoid the hassle of taking your driving test at the DPS office. SafeWay Driving is now authorized to offer the official Road Test at our convenient SafeWay Drive Sites. Get your license in familiar surroundings! 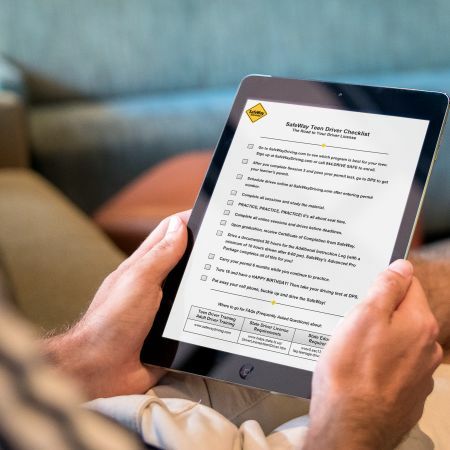 Whether you take your Road Test with SafeWay or choose to wait to take it with the DPS, you will first need to take the two-hour online IMPACT course. Schedule Your Road Test with SafeWay! To get your license, you will need to receive the license portion of your DE-964 from your course provider. You will take this certificate to DPS along with the other required identification documents. If you take your Road Test with SafeWay Driving, we will provide you with a sealed envelope to take to DPS. SafeWay Driving’s proprietary online driver education course includes the online permit test and is designed to prepare you for your in-car driver training. Access your course 24/7/365 to develop safe choices and safe habits before you get behind the wheel at one of our conveniently located driving schools. Keep driving down the page to learn how to get on the road to safe driving with our behind the wheel package options! The State requires a minimum of 7 hours of driving and 7 observation for a teen to get their license, for a total of 14 hours behind the wheel. 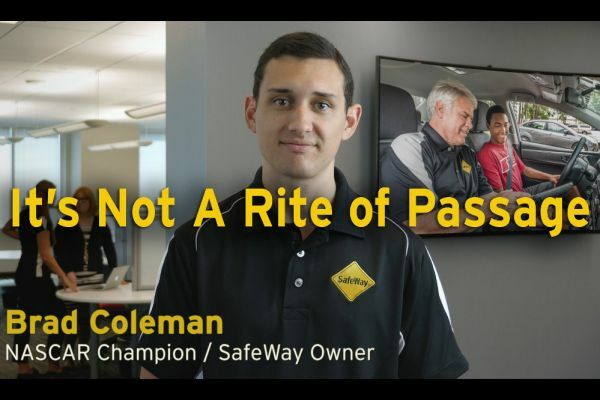 SafeWay’s State Minimum will fulfill the State requirements, but keep in mind an additional 30 hours of driver training must be completed before you will be eligible for your license. Keep scrolling to see the benefit of more driving hours with SafeWay! 7 hours is just not enough for a young driver, which is why the National Standard suggests 10 hours of in-car driver training. The SafeWay Basic Package meets this standard while providing some additional training on freeways and intersections, which is where a majority of teen accidents occur. Continue down the Road to Safe Driving to learn how our Advanced Packages can provide you peace of mind! There’s a difference between getting your license and learning how to drive. With the SafeWay Driving Advanced Package you’ll drive on tracks targeted to prepare you for the most common teen driving challenges while also lessening the parental driving requirement. Drive on to learn how you can take your driving skills to the next level! There are no shortcuts to becoming a safe driver. The SafeWay Advanced Plus course will put your skills to test through specially designed driving tracks that progressively become more challenging as you complete each level. Including the option of nighttime training hours, this comprehensive course lessens the parental driving requirement to 10 hours. Complete the Road to Safe Driving to get the utmost in driver training. Teens only become safe drivers by spending hours of time practicing in the car with a Certified Professional Driving Instructor. The SafeWay Advanced Pro Package fulfills the parental driving requirements and provides 37 hours of the utmost in professional driver training and includes our “No-Wreck” Guarantee*! Some restrictions apply - see product page for details. Is the SafeWay Driving System online course approved by the State of Texas? Yes. The Texas Department of Licensing and Regulation has approved this course for SafeWay Driving only. What are the online system requirements for the course? The Online Course is compatible with Internet Explorer 8 or 9, Mozila 3.6 x, Safari 5 or any browser that provides equivalent functionality. The curriculum also requires the latest versions of Acrobat Reader 6.0 and Flash Player plug-in 8.0. Additionally you must have speakers as sound is required for the course. Currently the course must be accessed on a desktop or laptop. How is the online learning experience different from a classroom learning experience? Taking the course online allows you to learn at your own pace without the distractions of your classmates while still having access to a top-trained instructor, just as you would in a classroom. The online course can also be accessed 24/7/365, allowing it to fit into your busy schedule. Will I still be equally prepared to start practicing behind the wheel driving? Yes. This online course is comprised of the same comprehensive, proven curriculum we previously taught in our classrooms for over 44 years. Will I still get to drive with a SafeWay Driving instructor? Yes. All of our online packages include driving instruction and observation with one of our top-trained SafeWay Driving instructors. Can I take the online course and still enroll in a SafeWay Advanced Driving package with more driving hours? Yes. 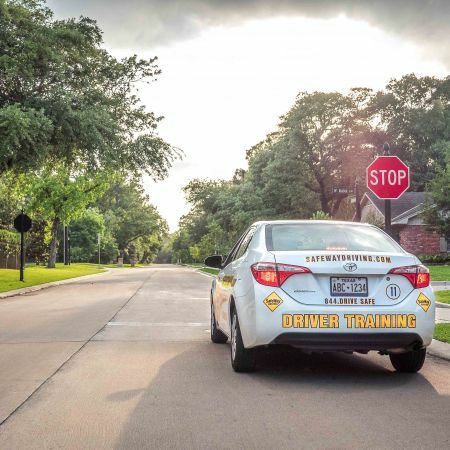 In fact, we strongly encourage students to spend more time in our cars with our top-trained instructors to better prepare for today’s Texas roadways. Is there an advantage to taking the course online? Yes. We understand that students are involved in a variety of organizations and have numerous time commitments. The advantage of our online course is that it can be accessed 24/7/365, allowing it to fit into your busy schedule. Where do I go for technical help regarding the system? During business hours, system support is available through an online chat feature on the course website. To contact technical support, click on the “Need Help?” icon located in the top right corner of the page. After business hours, you may submit your query as an electronic message through the same application. Where do I go to ask a question about the curriculum? Instructor support is available through an online chat feature on the course website. To contact an instructor, click the “Need Help?” icon located in the top right corner of the page. After hours, you may submit your query as an electronic message through the same application. The SafeWay Driving online course also provides an online forum for student interaction with instructors and other students. How many hours a day can I work on the online course? The State of Texas mandates that you may only receive 2 hours of instruction a day. How long will it take me to complete the online course? You could complete this course as quickly as 20 days if you elect to work daily and book your drives as soon as you have received your learner’s permit. You will have 90 days to complete 32 hours of online instruction and 180 days to complete 14 hours of in-car instruction (7 hours driving / 7 hours observation). The State enforces a 2 hour maximum of instruction per day. Completion of the course is dependent on your learning pace and when you schedule your drives. What if I don't pass the test at the end of a session? The session will need to be repeated and the end of session test re-taken. You cannot advance to the next session until you have earned a passing grade. If you do not pass the final test in Session 16, you must repeat the session until you can successfully pass the test. When will I be able to get my learner's permit? You will take your permit test online after completing Session 3. Upon passing this exam your certificate will be sent to you via Priority Mail. How will I acquire the certificate necessary for my learner's permit? You will be sent the permit portion of your DE-964 via Priority Mail. You will take this certificate to the DPS (please refer to the Permit Checklist to see what other documents DPS will require you to present) to get your permit as long as you are at least 15 years old. Otherwise, you will have to wait until your 15th birthday. What happens if I miss my 90 day deadline through no fault of my own? The 90 day online deadline must be enforced. You may extend a deadline for 30 days for $50 if you do so before the deadline date. Can I take this course if I don't live near a SafeWay Drive Site? Yes. Any student that resides in the State of Texas is eligible to take our course. Choose the SafeWay Drive Site nearest you and if there is not one close by, you will need to request a transfer to take your required drives elsewhere. When can I begin signing up for drives? 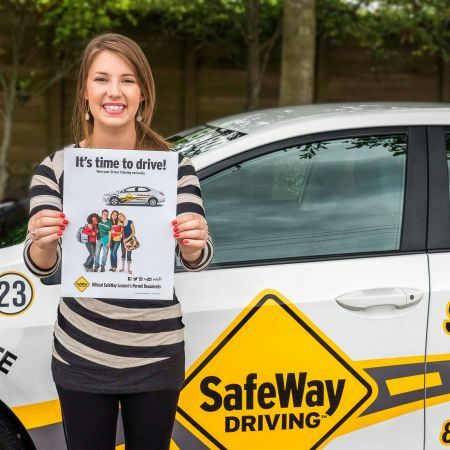 You may begin scheduling your in-car driving lessons as soon as you obtain your learner’s permit from the DPS and enter the permit number in your online SafeWay Driver Dashboard profile page. How do I sign up for drives? Scheduling Behind-the-Wheel times is done by you online at https://drivecenter.safewaydriving.com. This service provides around-the-clock access for viewing your student record and scheduling, canceling and rescheduling Behind-the-Wheel appointments. How can I ensure that I drive with my favorite instructor? Due to scheduling complexities the only drivers able to select their instructors are those who are enrolled in one of our Advanced packages. All other drivers will be able to book available drive slots and will drive with the instructor assigned to that specific slot. How often can I drive? We recommend you to leave at least one day between driving lessons in order to practice the skills you learned in your previous driving lesson. Practice is important. How many students are in the car during the driving lesson? Two students are normally assigned to a car (one is driving and the other is observing). Sometimes there will be only one, and occasionally there will be three, but the third will be observing only. What do I need to bring to a drive? You must bring a valid learner’s permit and wear your contacts or glasses (if you have been prescribed them). What should I wear to a drive? Dress like you are going to school. We do allow shorts but no tank tops and absolutely no flipflop sandals or other shoes we determine could be a hazard to your driving safety. Athletes, please shower if you are coming straight from practice. What if I forget to bring my valid learner’s permit to my scheduled driving appointment? It is illegal for you to drive without a valid learner’s permit. Showing up to your scheduled driving appointment without a valid learner’s permit will result in a $75 no-show fee. To avoid this fee,you may observe for the first hour (if there is another student scheduled to drive) and drive for the second hour if someone can bring your valid permit to the location from which your drive originated before the second hour of the driving appointment. What if I need to cancel a scheduled driving appointment? You are responsible for canceling your driving appointments online in your driver portal at least 24 hours before the scheduled driving appointment. Failure to cancel 24 hours prior to a scheduled drive time will result in a $75 late cancellation fee. Emails, phone calls and messages will not be accepted as a valid Behind the Wheel appointment cancellation. Sorry, but there are no exceptions. How much is the no-show / late cancellation fee? $75 per lesson. You must pay the fee prior to booking any additional lessons. How do I pay the no-show / late cancellation fee? The simplest form of payment is by credit/debit card on our convenient online system but you can also pay by phone at 844.DRIVE SAFE. Why do I need an extra lesson? Not all students progress at the same rate. Seven hours behind the wheel driving is the absolute minimum required by the State and many students require more time than this to build their skills and confidence. If you purchase the State Minimum package, know that we may require you to take extra lessons in order to pass our course. We will not pass you until we believe you are ready for today’s roads. How much does an extra lesson cost? An extra lesson is $100 for two hours (driving / observation). Do we still have to drive in bad weather? Yes, we will drive in the rain and other inclimate weather as we feel this is good practice for the students. If the weather has advanced to a level that we feel is unsafe to drive, we will notify you that we are canceling any drives. This is our right of decision and notification. If you make the decision you are not going to drive but we are driving that day, you will be charged a no-show fee. There are no exceptions. What happens if I miss my 180 day deadline through no fault of my own? The 180 day initial seven hour in-car deadline must be enforced. You may extend a deadline for 30 days for $50 if you do so before the deadline date. How will I acquire the certificate necessary for my driver’s license? You will receive an email letting you know that your certificate of completion (DE-964) has been sent to you via Priority Mail once all course requirements have been met successfully (online and in-car). If you lose or damage your DE-964, a duplicate can be issued to you for $35 including shipping and handling. What is the 30 Hour “No Tears…More Years™” Act Behind-the-Wheel Instruction Log? 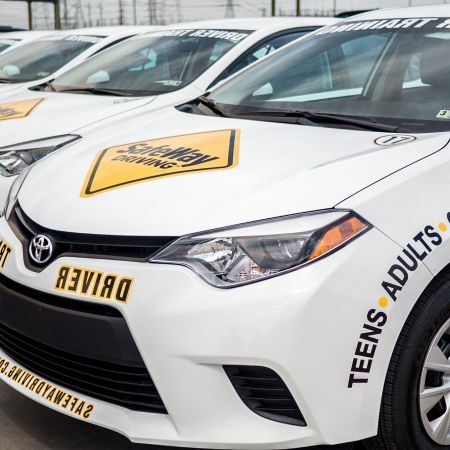 The State of Texas requires all teens, in addition to completing an approved driver training course, to log at least 30 hours of practice (at least ten of which must be at night) with their parent, guardian, or licensed instructor. The Instruction Log lists all of the lesson points that must be practiced. You can find the Instruction Log at 30-hour BTW Instruction Log.pdf. 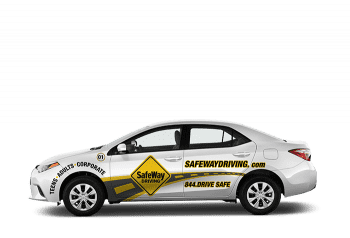 SafeWay Driving offers advanced packages whereby you may purchase 10, 20 or 30 additional (loggable) hours of advanced driving that satisfy the State requirements and provide you with additional practice with a professional instructor. Does SafeWay Driving offer driving packages that fulfill the 30-hour “No Tears...More Years™” ACT Additional Instruction Log? Yes. SafeWay Driving offers four advanced driving packages. The SafeWay Basic completes 3 hours of the Additional Instruction Log requirements, the SafeWay Advanced Package completes 10 of the Additional Instruction Log requirements and the Advanced Plus Package completes 20 of the Additional Instruction Log requirements. The SafeWay Advanced Pro fulfills the full 30 hours of the Additional Instruction Log requirements as well as declaring you a SAFE Certified Driver. What if I am moving and need to complete my drives elsewhere? You may request a transfer if you need to complete your drives at another school. How do I request a transfer to another school? All transfer requests must be made in writing and sent to SafeWay Driving Administration at 929 Gessner Suite 2075 Houston, TX 77024. Do you offer a refund if I complete my drives elsewhere? Please see Refund Policy on your contract or in our Terms and Conditions to understand the details. Can I transfer to SafeWay Driving to do the in-car portion? Yes, but only through our Transfer Package. We have witnessed that there is a significant difference between the driving abilities and knowledge of drivers from other driving schools and SafeWay Driving professionally instructed drivers. Our Transfer Package will induct a new driver into the SafeWay Driving System prior to beginning the package of their choice. Can I contract for SafeWay’s Valet Service so that my parents do not have to take me to the school for my drives? SafeWay Driving offers Valet Packages only to our Basic, Advanced, Advanced Plus and Advanced Pro drivers, as long as you live within 5 miles of a SafeWay Drive Site. Our Valet Service provides for pick-up and drop-off at your home upon parental approval and payment of the service. It must be purchased for the entire package and is not available on a single driving lesson basis. Do I have to be put on my parents’ insurance when I get my permit? You generally will not be put on their insurance until you have received your license, but you will need to contact your specific insurance company for verification. How old do I have to be to start driver training at SafeWay? You must be within two months of your 15th birthday. How long must I hold my permit before I am eligible for a license? You must hold your permit for at least six months, be 16, and have passed an approved driver training course before you are eligible to obtain your driver’s license. Will I have any restrictions when I get my license? Yes. The Graduated Driver License Program has two phases of driving requirements for minors. For more information on these restrictions, visit http://www.txdps.state.tx.us/DriverLicense/gdl.htm. I've completed my course. What else do I need to do to get my license? You'll need to turn 16 and have held your permit for at least 6 months before you will be eligible for your license. Additionally you will need complete the 30 Hour "No Tears...More Years™” Act and the two hour IMPACT course. The IMPACT Teen Two Hour Course must be completed by all teens before they will be eligible for their license. The course is available online at https://impacttexasdrivers.dps.texas.gov/ITTD/. Refer to your Permit DEE-964 Certificate for the proper TDLR school code. Am I required to take a driving test at the DPS? Not anymore! Now you can avoid the extremely long waits and hassle of taking your driving test at the DPS office. SafeWay Driving is now certified to offer the official Road Test at our convenient Drive Sites. Get your license in familiar surroundings! What do I need to bring to the DPS to get my permit / license? Refer to our Teen Driving Checklist or visit http://www.txdps.state.tx.us/DriverLicense/teenDriver.htm for a list of documents required by DPS. I have lost or damaged the original certificate of completion (DE-964). How do I get a new one? We can issue you a duplicate certificate of completion (DE-964) for $35 which includes the cost of a Priority Mailing fee if you choose to have it mailed. You must call our offices to request a copy of your DE-964. Visit http://www.txdps.state.tx.us/ for DPS locations and hours of operation. Between all my homework, college applications and volleyball commitments, I thought I would have to wait until summer to take driver’s ed, but with the online course, I was able to take my course and drives when I had free time. Because of SafeWay, I feel really confident in my driving skills, was able to get my license on my 16th birthday and didn't have to give up any of my other commitments! SafeWay has the best Instructors. I felt confident when I took my driving test and now I have my license! I did the Safeway Drivers Course online, and finished at my own pace. I love how I was able to choose my instructors, and drive whenever my schedule allowed. I really enjoyed SafeWay's laid back and fun learning environment. The approachable instructors helped me drive more confidently and made the experience less daunting.